Carpet Cleaning Boston offers quality hardwood floor cleaning and refinishing services in and around Boston, Massachusetts. The flooring in your home is one of the largest and most significant aspects of your home interior, and one that everyone who enters your home will notice. There are many types of flooring, including carpeting, linoleum, tile and laminate. One of the oldest types of flooring that has survived all the trends in home design is hardwood. Hardwood flooring has many excellent features, which lead many home owners to select it as their preferred type of flooring, often replacing other flooring types, like linoleum, with hardwood. Hardwood lends a classic beauty to houses, yet a range of colors, wood types, and board shapes brings a very modern air. Hardwood flooring is extremely long-lasting, yet requires some maintenance every few years, or even more often, depending on the use and traffic it receives. Knowing how to clean wood floors is very important in ensuring your floors stay beautiful for as long as they can. Cleaning wood floors weekly by sweeping high-traffic areas with a soft-bristle broom and using a spray cleaner specially designed for hardwood are two highly-recommended techniques. It is important not to select simply any cleaner for mopping the floors or cleaning up spills because the chemicals inside can eat away at the polyurethane layers protecting the hardwood beneath them. However, even with the best of regular care, hardwood floors do occasionally need to be refinished. Over time, grit, dirt, sand and other particles typically brought from outside the home inside wear away at the upper layers of polyurethane, causing the floor to lose its signature shine and brilliance. Dog claws are definite players in this process. Refinishing hardwood floors is a simple process of sanding off the upper layers of polyurethane and recoating it. 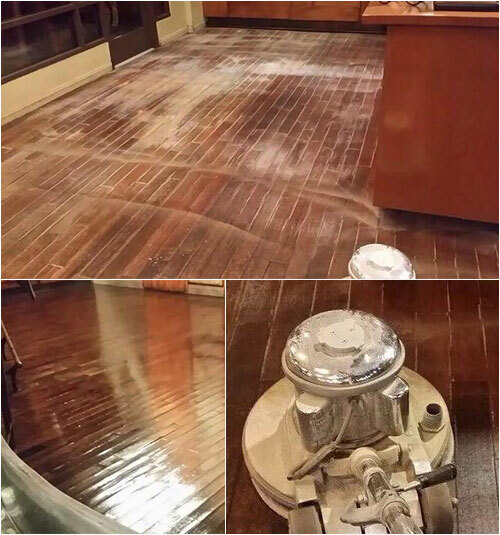 If the polyurethane were to erode completely, the wood itself can become damaged, and that will require deeper sanding and possibly repair work to fill in any gaps, scratches or gouges. Although this can be solved, it is more time-consuming and more expensive. When hardwood floors sustain water damage, they may buckle or otherwise change their appearance and become uneven once dry. Hardwood floor refinishing may be able to restore water-damaged wood flooring to its previous beauty. Carpet Cleaning Boston's hardwood specialists will evaluate the damage and discuss your options with you. 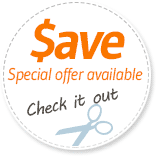 Carpet Cleaning Boston is here to fulfill all of your hardwood flooring needs. Our technicians are highly trained and experienced in this field, and we employ top of the line equipment to do our job efficiently and well. Call us today for a free estimate: 617-938-3847. We will be pleased to discuss any of our services in more detail.